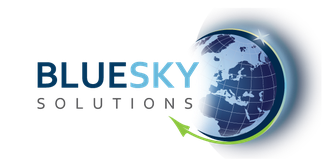 Blue Sky Solutions was founded in 2015 in order to develop and provide innovative and sustainable technologies, products and solutions, mainly in the field of aeronautics and astronautics. The team of Blue Sky Solutions has 17 years of professional experience in the development, manufacturing and qualification of demonstrators and prototypes for innovative system solutions such as green rocket and space propulsion systems as well as electromechanical subsystems and components for small satellites and sounding rockets. Being close to the Institute of Aeronautics and Astronautics (ILR) at Technische Universität Berlin, Blue Sky Solutions supports a closer integration of research and industry. The company has direct access to production, qualification and test facilities on highest international standards such as certified facilities for vibration, shock and thermal vacuum testing as well as the new European Zero-g aircraft A310 for parabolic flight campaigns.